When I became pregnant 6 years ago, I instantly became concerned with what I was putting both in and on my skin. I'd never really thought much about the ingredients but suddenly I started to look at the ingredients list. Luckily in the last 6 years the natural beauty community has exploded. Now there are websites, blogs and stores that sell or talk only about natural beauty products. It's also become so much easier to decipher the ingredients list with so many websites that explain ingredients in simple terms. 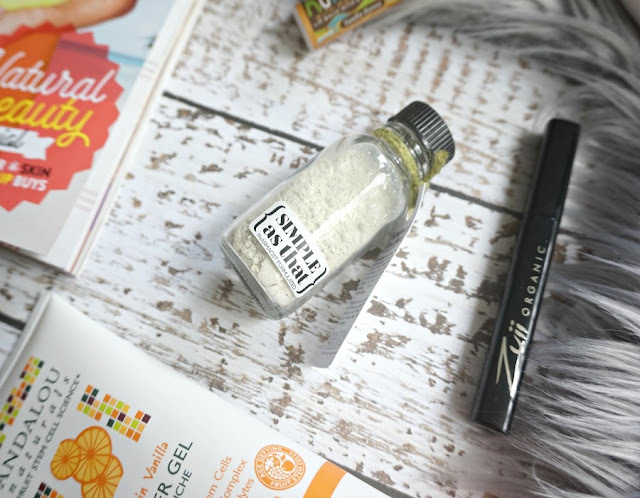 I've teamed up with an Australian online store called The Well Store to bring you this post on easy and affordable ways to incorporate natural products into your beauty routine. When I first started to change my skincare to more natural products, I found that the easiest and most affordable products were body products. It's easy to switch to a natural shower gel and body moisturiser because it's something that you use daily. This Andalou Naturals Mandarin Vanilla Shower Gel* not only smells amazing but it's also cruelty free and vegan. I also swapped my deodorant to a natural one. Once I changed to a natural deodorant, I've never gone back to chemical ones. There's so many amazing ones around that are affordable and easy to use. I prefer to use roll on ones like this Vanessa Megan Vanilla Pod Roll On Deodorant* as they're much easier and quicker to use than a paste version. The only draw back is I haven't found one that's suitable for working out. I've heard amazing things about this one from Black Chicken Remedies, but I haven't tried it myself. Another inexpensive product that you should swap over today is a lipbalm. Because you lick your lips and end up eating your lipbalm, it's one of the best things to swap. This Eco Lips Mongo Kiss Vanilla Lip Balm* is only $4.95 and it's so hydrating. I make it a rule to always change my mascara every 2-3 months to make sure that I don't risk the chance of an eye infection, so it makes it easy to change to a natural mascara. 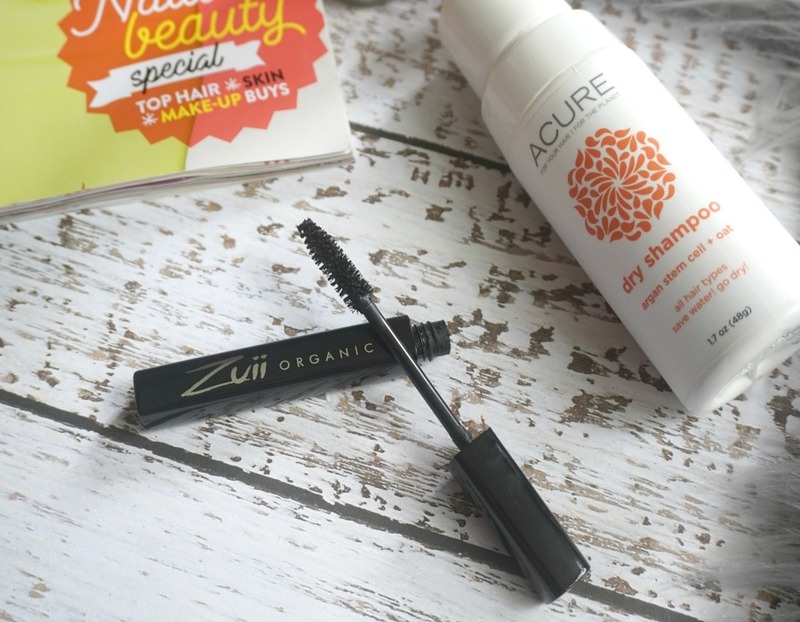 This Zuii Organic Certified Organic Vegan Flora Mascara* has a thick formula which makes it easier to use as you don't have a thin formula that can smudge all over your eyes while it sets. I try to only wash my hair only once or twice a week to keep my hair from becoming dry and my colour from becoming brassy. Dry shampoo is a must for me and I'm so glad that there are more natural brands that are releasing dry shampoos. The Acure Dry Shampoo* is a powder rather than a spray. While it took a few tries to get used to using the powder, I've found that it's great at keeping oil at bay. I can even use this and find that I don't need to use it the next day because it's that great at oil control. I adore the Simple As That Matcha Mask* because it really is simple. There are only 2 ingredients in the mask - organic matcha green tea powder and organic silica powder. I like that you can add as much or as little water into the powder to turn the mask into a thick or thin consistency. If you're looking at moving towards more natural products check out The Well Store website here to see their amazing range of skincare, make up, body products and children's products. 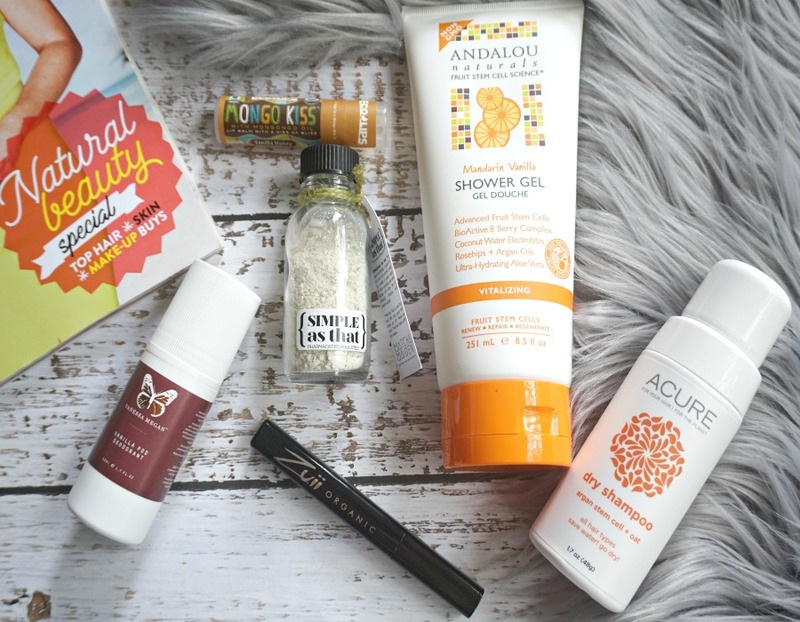 They have some amazing brands on their site like La Mav, Skin Juice, Eco Tan, Kosmea, Dr Bronners and more. Another sweet inclusion is the hand written note with your purchase. I love supporting local businesses and love the small details that they include with your order. How many natural products do you use? I'd estimate at least 75-90% of what I use is naturally based! I started going down that road long before it exploded & I'm so glad there are a lot of options out there these days as there wasn't when I began this journey about 12 years ago. Granted, I still use a normal deodorant & toothpaste, but for the most part what I use is natural.